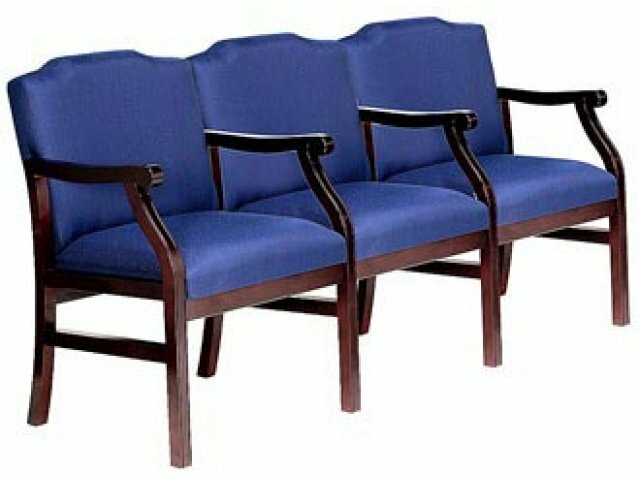 Solid Hardwood Armchairs & Accent Tables - Make a Solid Additional to Any Conference Room or Reception Area! The five-step hand-rubbed finish and graceful curves provide a dignified and traditional look. The modular design allows "as you need it" layout flexibility-matching 2-seat, 3-seat, 4-seat and 5-seat sofas (with or without center arms). 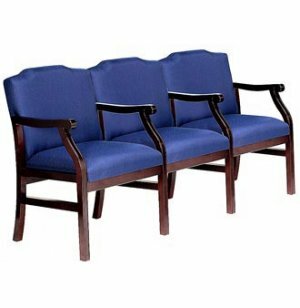 All construction is executive suite quality through and through from 1 1/2" wide arms to the plush layered foam seat to the interlocking steel components for added strength and durability. Foam and upholstery are both fire retardant. Assembles easily in minutes-no tools needed!. Add matching end, corner, and/or coffee tables for a more finished and first-class look.